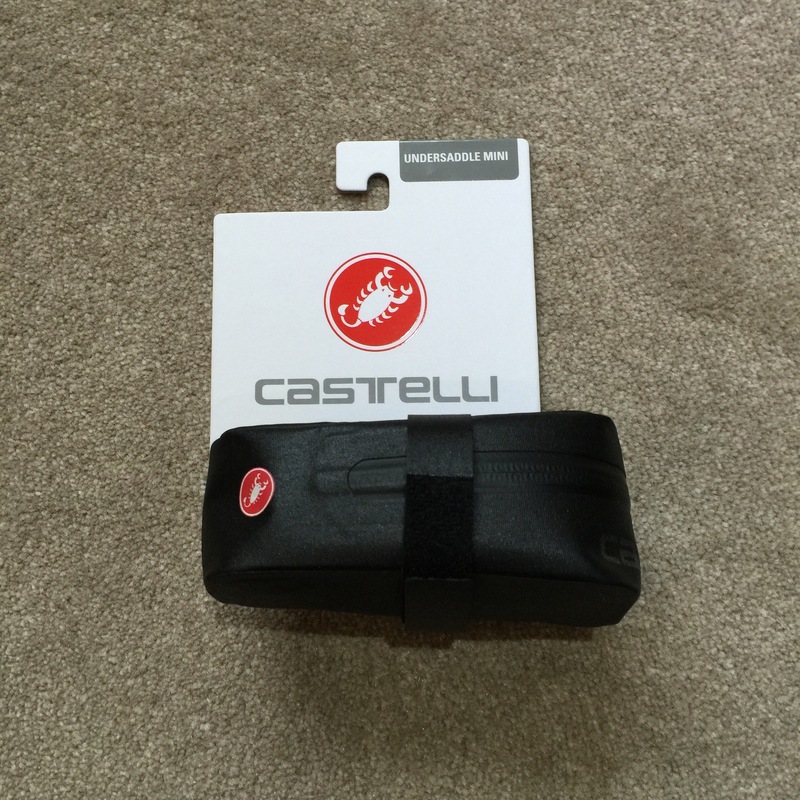 Castelli saddle bag review. 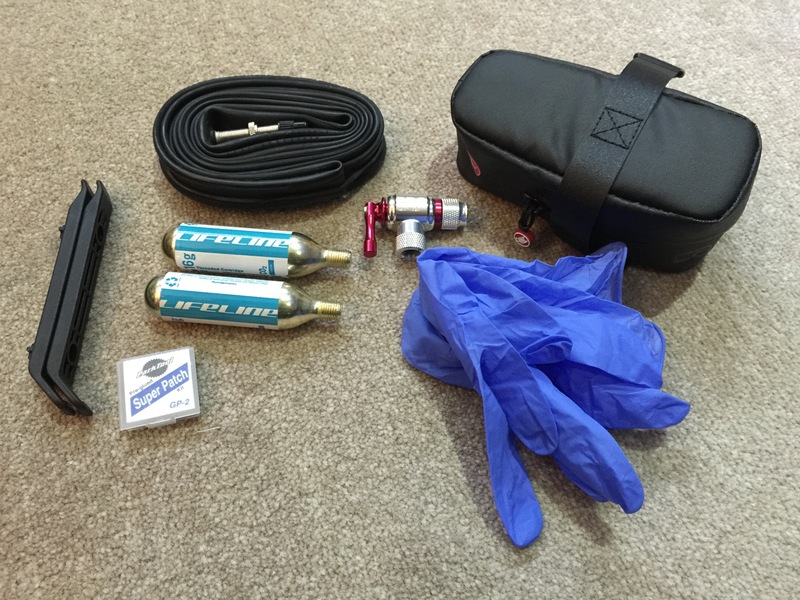 What’s in my saddle bag? As I embark on longer weekend rides, it is important to ensure that I keep some basic tools with me in the case of a mechanical/puncture. I have been risking my rides up until now, but finally got myself a worthy saddle bag. Many I have previously come across before seemed to be overly bulky, and I was looking for one which was discreet, compact, and looked good. It is no surprise that I like Castelli garments (and is my signature brand), so when I saw that there was a matching saddle bag available, my interest was piqued. The saddle bag is at maximum capacity with the above, so unfortunately there is no room for my multi-tool, which I will have to keep in my jersey pocket. The saddle bag is actually just for weekend rides, as during my commutes I have a backpack with me, and have plenty of storage space there. All-in-all, the Castelli saddle bag is a great buy. I purchased mine from Wiggle for around £22, which is reasonable in price when compared to other saddle bags of a similar quality and design.